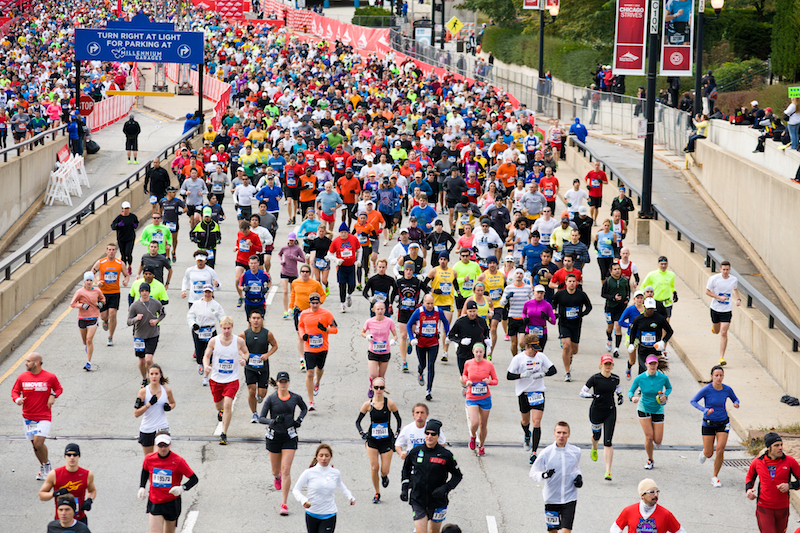 Find out how to track the 2019 Boston Marathon to follow all of your favorite runners! Also see how you can watch the 2019 Boston Marathon or follow along! Today is that great day known, in some states, as “Patriots’ Day” that is commemorated for the first battles of the Revolutionary War (it is also known as Tax Day in the US!). However, for runners around the world, today is more widely known as the day of the 2019 Boston Marathon! How to Track the 2019 Boston Marathon! The Boston Marathon is easily one of the top goals of marathoners all over the world (me included!). This race is legendary and there have been many great runners that have covered the same steps that over 30,000 runners will be running today. Do you have a friend or loved one running the 2019 Boston Marathon? 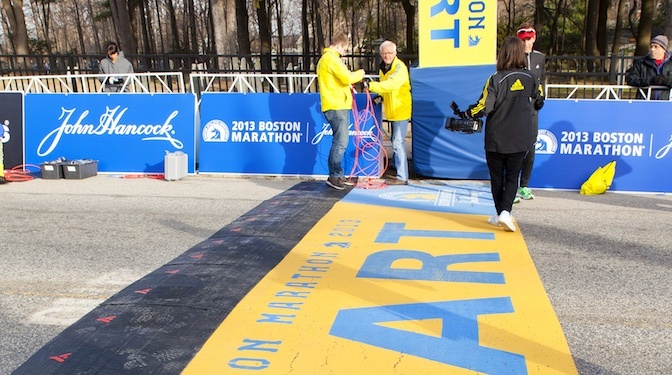 Or, maybe you are like me and just love tracking many of the famous runners of the 2019 Boston Marathon!Either way, here is how you can track the 2019 Boston Marathon. As you can see, there is a total of 2 hours and 13 minutes separating the starting gun for the very first group entrants until the last, which is Wave Four. From the start of the main field of Wave One until the last wave, there is a difference of 1 hour and 13 minutes. If there is a particular marathoner you want to track, it will help to know which wave they are in. The Boston Athletic Association has you covered when it comes to keeping an eye on either the elite runners or your friends and family that are running. There is a page available that will show you their progress along the course – found here. Simply look them up by bib number or name and you can add them to your tracking list. You will see updates at the 5K points (as well as some others) – basically, you can keep pretty close track of them throughout the Boston Marathon! The Boston Athletic Association has a great app that will give you all the tracking ability right on your smartphone. The Boston Marathon app is available for iOS (here) and Android in the Google play store (here). If you are located in the New England area, you will be able to livestream the race, courtesy of CBS Boston. You can access that coverage here as well as the finish line camera they will have setup. If you are outside of New England but in the US, you can watch the race on TV with the NBC Sports Network. This will also be available online but as a Gold option which means you will have to have a yearly subscription for NBC Sports Network Gold. If you are outside of the US, it looks like you are out of luck at this point with watching the race. However, if you have a VPN service, you may be able to use that to watch some of the above coverage as it will put your computer’s IP address inside of the zones. I am not sure if there services prevent that or not. However, if none of these options work for you, you can always follow the live twitter feeds that will be up with accounts like Runner’s World. Their coverage is always pretty good and you can at least get some play-by-play action from other runners. With a marathon in the northeastern United States in April, the weather is always going to be hard to pin down! There have been some Boston Marathons that were quite hot and others that were very cold. The 2019 Boston Marathon is going to be one of those undependable running days. Right now, the weather forecast is for cloudy and 60s but there are also thunderstorms that will be coming out earlier so that rain could continue throughout the race. As the race continues, the race will come down again as well. This means that you may want to adjust your expectations a bit for when your runners you are tracking will hit those checkpoints.